It’s Christmas Week!! What is one of the best things about Christmas? 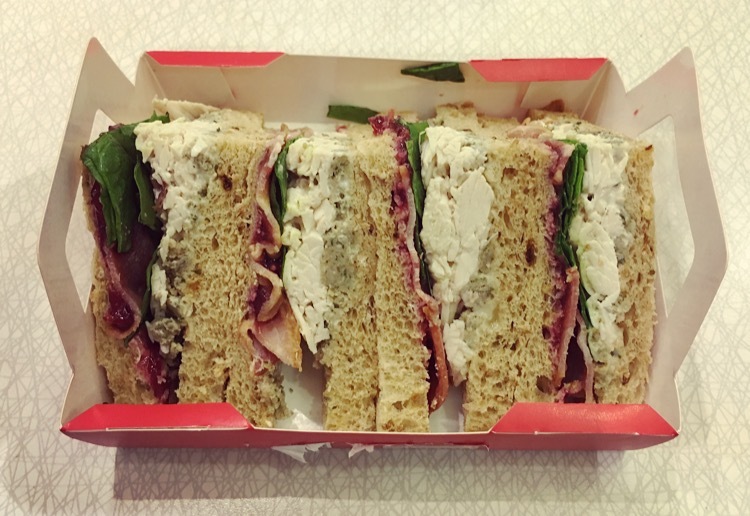 Festive Sarnie’s that’s what. It is a time of year when I eat so many of them that by the end of it I’m surprised I don’t look like one. I am also bemused as to why you can only buy them at Christmas. Yes I am fully aware the turkey, cranberry, stuffing situation is traditionally Christmas, however I would buy this all year round. Whilst meeting the mothership in town the other day I rocked up to M&S cafe rather late with not a lot of time to spare and she had already bought me a sarnie, and what a grand choice, she knows me so well! 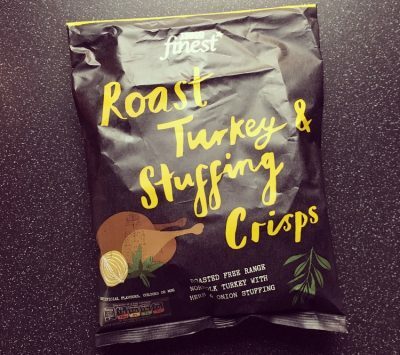 Firstly anything titled Turkey Feast has got my attention. Secondly it looked blooming delicious. Butter basted roast British turkey breast, pork, sage and onion stuffing, cranberry chutney, smoked British bacon and mayonnaise with spinach on malted brown bread. Crikey that is a lot of filling to get into a triangle of sandwich, and boy was it jam packed. Hallelujah finally a sandwich that has filling that covers the whole bread surface. Malted brown bread has to be one of my favourite breads and is in my opinion the best kind to have as a sandwich. Perfectly spread across the soft bread the cranberry chutney was sticky, sweet and delicious, the bacon still crisp and the spinach still with a little bite. The turkey was succulent and pretty chunky, the stuffing was herby, not at all salty and was the the right consistency that didn’t make your mouth weld together with the mushiness that some have. I didn’t realise there was mayo in there until I read the back so really this could be omitted from the whole thing and we would be none the wiser. The whole sandwich worked perfectly, there was just the right amount of elements all of which came together to make one scrummy sarnie! 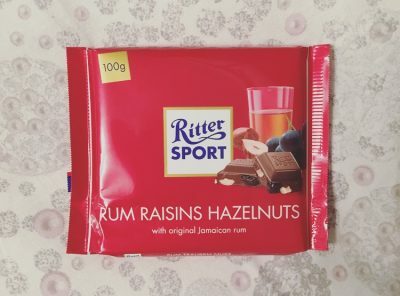 M&S we have a winner! This Turkey Feast is up there with the best festive numbers. Waitrose Love Life version has been my go to however if I have the time to trek on down to M&S Cafe this is certainly getting my vote. M&S also do this version within their pre-packed festive numbers in the Food Hall, but this Cafe version is so much better! 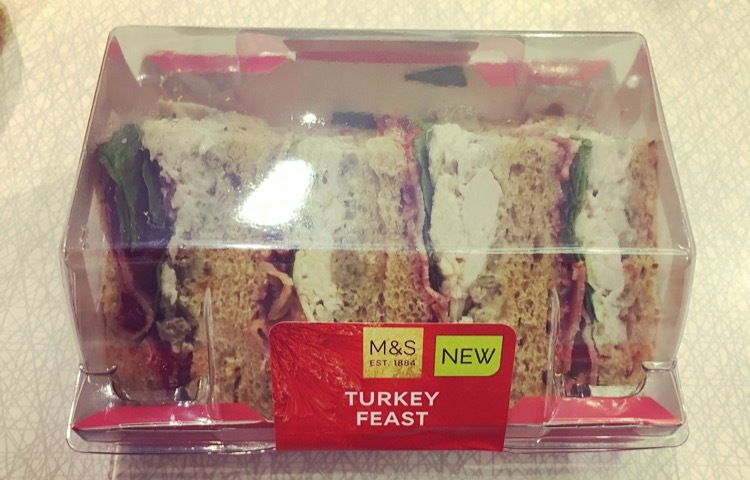 If you love a festive sandwich you best be quick to try this before it disappears for another year! I NEED this in my life. I don’t even rate turkey but there is something I love about it in a sarnie! Go get it Hannah Banana but the Cafe one it is so scrummy!! !